Everyone has the right to pay tribute to whomever they please. Regardless of how much anyone else may hate it. 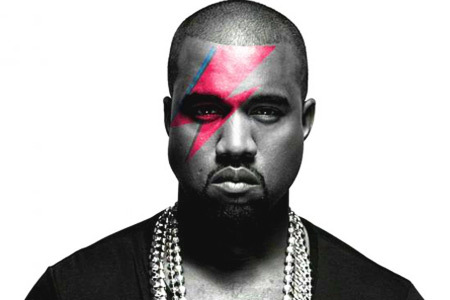 Now, don’t get me wrong, I personally think Kanye is a talentless hack and that any Bowie tribute to come from him would be horrible. However, I also believe that he has every right to create that tribute if he so desires. After all, what gives anyone the arrogance to tell him he can’t? David Bowie influenced a wide variety of artists, musicians, actors, designers and so on. In that parade of many, some of them were bound to create crap that someone else would hate. I’ve heard many a Bowie cover over the years that were — in my humble opinion — terrible. Does that mean that I should have started a petition to have those folks banned from ever doing a cover again? Of course not. So please, back off of Kanye. Ugh! That was not easy to say and I just threw up a little in my mouth. Still, let him do what he does. You don’t have to buy it. And that’s your defense against music you dislike. Not trying to stop it before it happens, rather you can just buy something else. Ok. Now back to not thinking about this jackass.